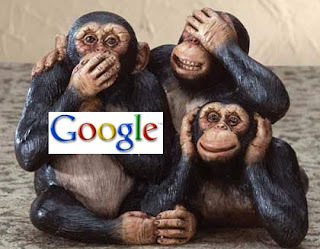 Unknown Unknown: Monetize Blogs, Google Plays GOD!! Monetize Blogs, Google Plays GOD!! 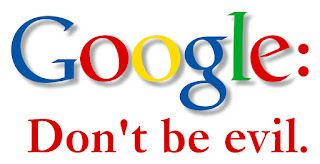 "Don't Be Evil", that is Google's motto. But, I can play GOD is its action. Confused..!! Don't be!! Read on for a small peek into the worlds best search engines not so GOD'ly deeds. Mind you I might also be black listed(you never know) for writing this. One thing that always troubled me from the time Google became my sole search engine (even today) is how do I know Google or a few in Google are not manipulating the search result. Except for Google's word I don't have any other way to find out.Pretty much the same with any other search engine. But it does not end here. I use gmail for all my mail, blogger for my blog, orkut for friends, google docs for what docs!, google calender, google maps, ah!!!! more and more. And 52% of the online population probably does the same. It scares me, what if Google becomes evil.!! What if Google plays GOD?? I was initially worried, but the worry is slowly turning toward paranoia especially after reading 1984. What will happen when the day comes when Google starts playing GOD?? This is not an unjust worry or is it? I recently came across this guy John Chow. Search for him on Google and Yahoo (follow the links and check out). Do you get what I am saying? This guy writes about ways to monetize a blog and offers suggestion like, "you should never pull all your eggs in Google's basket". He goes on to use lot of Text Links and ReviewMe to bring in revenues. So What?? What's wrong. According to Google. "Some SEOs and webmasters engage in the practice of buying and selling links, disregarding the quality of the links, the sources, and the long-term impact it will have on their sites. Buying links in order to improve a site's ranking is in violation of Google's webmaster guidelines and can negatively impact a site's ranking in search results." What do you think about Google Playing GOD? What do you think are the alternatives before us? Leave your comments. I agree completely...it is time to also use alternate search engines and web applications so we are not going to lookup to Google as God!